Outstanding by design, our uPVC Casement Windows excel across the board. They're guaranteed to enhance your Fleet and Hampshire home, providing the perfect harmony between function and form. Visit our online quote calculator for a free quote. The standard of our uPVC Casement Windows means that homeowners throughout Fleet, Hampshire, Farnham, Camberley, Aldershot, Basingstoke, Hook, Farnborough, parts of Berkshire, Surrey, Bagshot, Lightwater, Cove, Frimley, Yateley and surrounding areas won’t have to settle for less than exceptional. By combining the outstanding uPVC profile design from REHAU with unrivalled craftsmanship, we guarantee that our uPVC Casement Windows will enhance the thermal efficiency and security of your home, whilst offering a high level of durability and longevity. Casement Windows are renowned for offering an aesthetic that is both subtle and elegant. Their clean and crisp means that they can be easily fitted to both contemporary and traditional homes without fault. They feature a standard of operation that is incredibly accessible and specialises in practicality and simplicity, whilst their low maintenance profile allows you to enjoy all their benefits with none of the chores. High standards of thermal efficiency are incredibly important for increasing the heat retention of your home. All of our Casement Windows utilise the REHAU uPVC profile to ensure that your property retains its heat during the winter months. This will cause a notable reduction in your heating bills, as well a wonderful reduction in your carbon footprint. Due to the exceptional quality of the uPVC used in their construction, all of our Casement Windows offer outstanding levels of robustness and rigidity. This means that they achieve a certification from Secured by Design, a police backed initiative that specialises in crime prevention. All of our Casement Windows have undergone a rigorous testing process. We understand that form is as important as function with our Casement Windows. This is why we offer all homeowners a wide range of unique styles and finishes to choose from in order to ensure that you get the perfect aesthetic for your property. Whether you want your windows to seamlessly blend in or stand out, we can easily accommodate. You’ll be able to enjoy complete confidence in your casement windows as they are always accompanied with a full, 10-year guarantee. This will protect them against any infamous cracking, warping or discolouring and will ensure that the aesthetic of your property will be not compromised by windows that have lost their integrity and beautiful appearance. Cristal Windows are proud to be certified as a trusted installer of Yale hardware. All of our uPVC windows are manufactured and installed with security in mind, for your peace of mind. Our Yale locks exceed industry standards. Since Cristal Windows are trusted installers of Yale hardware, you will benefit from a Yale Lifetime Security Guarantee when you buy your new windows with us. Keep your home safe, with a brand you can trust. Cristal Windows with Yale security. For a full list of benefits and information, visit Yale's website. We are proud to provide British products that are crafted with care and expertise. Our products retain heat through their intelligent design, meaning your home stays warm during winter. Energy focused glass ensures our products save you money on your heating bills in all seasons. Cristal products are dedicated to reducing our impact on the environment and are conscious of this throughout all our processes. With a unique six-chamber uPVC profile, EnergyPlus can easily achieve an A+ rating, helping you contain and conserve heat within your property. Our products are fitted with high security multi-point locking as standard and are independently tested to the requirements of PAS:24 2012. Liniar products will never rot, rust, or require painting - just a quick clean with warm soapy water, even with our foiled colours. Our products are available with 28mm double or 36mm triple glazing - capable of achieving a U-value of 0.8 with EnergyPlus profile. 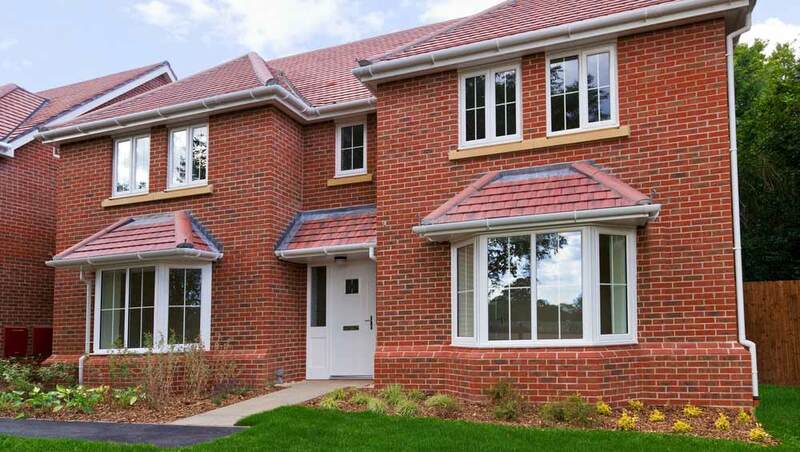 Our uPVC Casement Windows are available at highly competitive prices throughout all of Fleet, Hampshire, Farnham, Camberley, Aldershot, Basingstoke, Hook, Farnborough, Bagshot, Lightwater, Cove, Frimley and Yateley. Cost-effective yet high-performance our windows are sure to offer complete satisfaction, you can get your ideal price via our online quote calculator. It’s free, instant and incredibly easy to use.